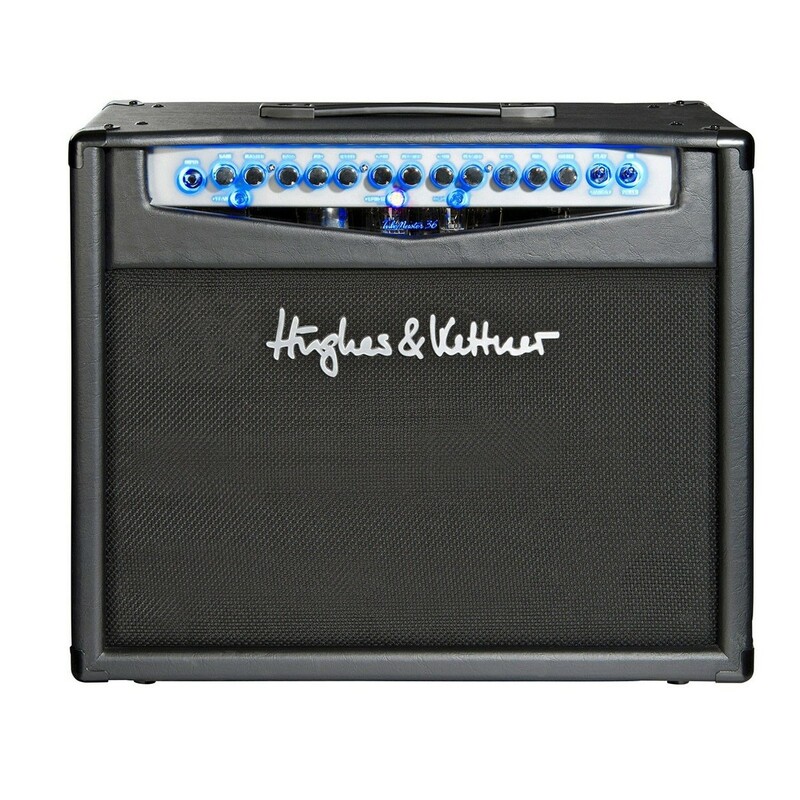 The Hughes And Kettner TubeMeister 36 Combo is a 36 watt all-valve guitar amp combo, with three independent channels including Clean, Crunch and Lead, each with its own EQ section. If that's not enough, the powerful combo is equipped with a 12-inch Celestion Vintage 30 speaker, perfect for any level of player. Unlike other valve amp combos, the TubeMeister 36 has a switchable power output, from 36 watts down to 1 watt and speaker off for recording. This power output switch can also be MIDI-programmed, allowing the changing of power output on each channel during performance. This provides over a hundred different possibilities of power outputs and channels, to attain the desired valve tone at any volume. The inclusion of a 1 watt output makes the TubeMeister 36 ideal for bedroom rehearsal, while the Speaker Off option is ideal for recording, thanks to the Red Box and balanced XLR output with speaker emulation. Additional features, such as the Tube Safety Control (TSC), serial FX loop and adjustable reverb, mean that the Hughes And Kettner TubeMeister 36 is as ideal for the stage as it is for the studio. The TubeMeister 36 is crafted with a dovetailed birch ply enclosure, specifically tuned to offer a powerful sound. Faux leather vinyl covering and reinforced metal corners will complement any set-up, and is perfect for gigging musicians. 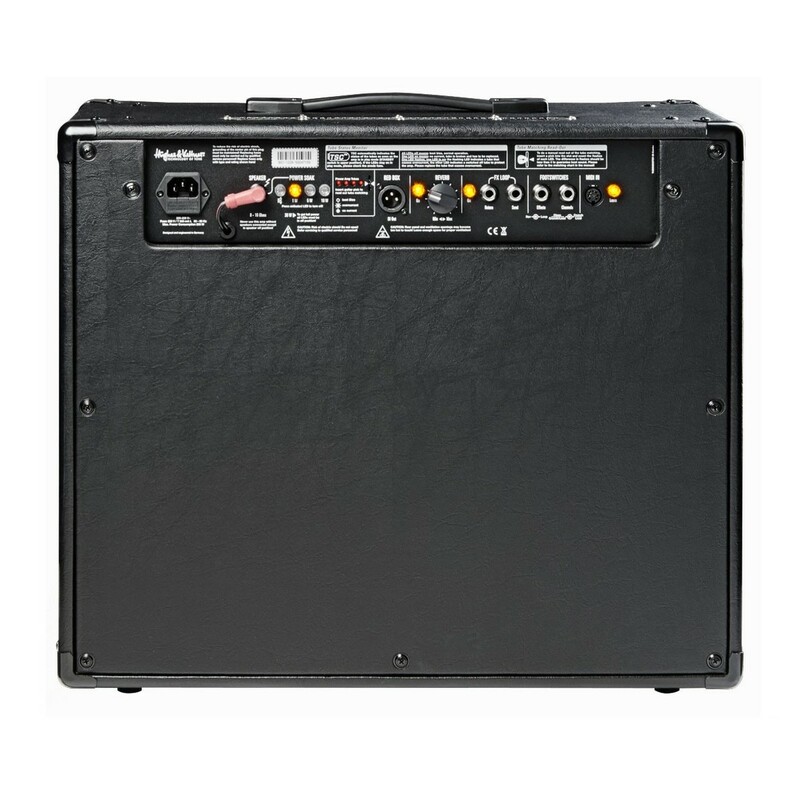 The integrated handle on top of the combo amp offers ease of transportation which is vital in stage life. Like other amps from Hughes & Kettner, the TubeMeister 36 Combo features the iconic neon blue control board lights on an acrylic screen. This offers an attractive appearance and is perfect for dark stages.